Match ends, Eintracht Frankfurt 1, Borussia Mönchengladbach 1. Second Half ends, Eintracht Frankfurt 1, Borussia Mönchengladbach 1. Attempt missed. Josip Drmic (Borussia Mönchengladbach) left footed shot from the centre of the box is high and wide to the right. Assisted by Oscar Wendt with a cross. Delay in match Denis Zakaria (Borussia Mönchengladbach) because of an injury. Substitution, Eintracht Frankfurt. Gonçalo Paciência replaces Sébastien Haller. Substitution, Eintracht Frankfurt. Luka Jovic replaces Ante Rebic. Attempt missed. Sébastien Haller (Eintracht Frankfurt) left footed shot from the centre of the box is high and wide to the left. Assisted by Danny da Costa. Goal! 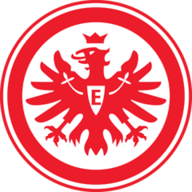 Eintracht Frankfurt 1, Borussia Mönchengladbach 1. Denis Zakaria (Borussia Mönchengladbach) right footed shot from outside the box to the bottom left corner. Assisted by Tobias Strobl. Attempt saved. Josip Drmic (Borussia Mönchengladbach) right footed shot from a difficult angle on the right is saved in the centre of the goal. Assisted by Alassane Pléa with a cross. Substitution, Eintracht Frankfurt. Jetro Willems replaces Gelson Fernandes because of an injury. Delay in match Gelson Fernandes (Eintracht Frankfurt) because of an injury. Substitution, Borussia Mönchengladbach. Tobias Strobl replaces Christoph Kramer. Christoph Kramer (Borussia Mönchengladbach) wins a free kick in the defensive half. Attempt missed. Ante Rebic (Eintracht Frankfurt) right footed shot from the right side of the box misses to the left. Assisted by Sébastien Haller with a headed pass. Jonathan de Guzmán (Eintracht Frankfurt) is shown the yellow card. Mijat Gacinovic (Eintracht Frankfurt) wins a free kick in the defensive half. Corner, Borussia Mönchengladbach. Conceded by Evan Ndicka. Christoph Kramer (Borussia Mönchengladbach) is shown the yellow card for a bad foul. Foul by Christoph Kramer (Borussia Mönchengladbach). Substitution, Borussia Mönchengladbach. Alassane Pléa replaces Patrick Herrmann. Substitution, Borussia Mönchengladbach. Josip Drmic replaces Florian Neuhaus. Makoto Hasebe (Eintracht Frankfurt) is shown the yellow card for a bad foul. Foul by Makoto Hasebe (Eintracht Frankfurt). Attempt blocked. Filip Kostic (Eintracht Frankfurt) left footed shot from a difficult angle and long range on the right is blocked. Assisted by Jonathan de Guzmán. Corner, Eintracht Frankfurt. Conceded by Oscar Wendt. Gelson Fernandes (Eintracht Frankfurt) wins a free kick in the defensive half. Corner, Borussia Mönchengladbach. Conceded by Gelson Fernandes. Attempt blocked. Thorgan Hazard (Borussia Mönchengladbach) right footed shot from the right side of the box is blocked. Assisted by Patrick Herrmann. Corner, Eintracht Frankfurt. Conceded by Nico Elvedi. Corner, Borussia Mönchengladbach. Conceded by Jonathan de Guzmán. Attempt blocked. Christoph Kramer (Borussia Mönchengladbach) right footed shot from a difficult angle on the right is blocked. Assisted by Thorgan Hazard with a cross. Corner, Borussia Mönchengladbach. Conceded by Kevin Trapp. Attempt saved. Oscar Wendt (Borussia Mönchengladbach) left footed shot from the left side of the box is saved in the bottom left corner. Assisted by Lars Stindl. Attempt blocked. Sébastien Haller (Eintracht Frankfurt) header from the centre of the box is blocked. Assisted by Jonathan de Guzmán with a cross. Corner, Eintracht Frankfurt. Conceded by Fabian Johnson. Attempt blocked. Filip Kostic (Eintracht Frankfurt) left footed shot from the left side of the box is blocked. Assisted by Mijat Gacinovic. Offside, Eintracht Frankfurt. Danny da Costa tries a through ball, but Jonathan de Guzmán is caught offside. Corner, Eintracht Frankfurt. Conceded by Christoph Kramer. Delay in match Christoph Kramer (Borussia Mönchengladbach) because of an injury. Second Half begins Eintracht Frankfurt 1, Borussia Mönchengladbach 0. First Half ends, Eintracht Frankfurt 1, Borussia Mönchengladbach 0. Goal! 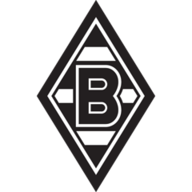 Eintracht Frankfurt 1, Borussia Mönchengladbach 0. Danny da Costa (Eintracht Frankfurt) right footed shot from very close range to the top left corner following a corner. Attempt blocked. Jonathan de Guzmán (Eintracht Frankfurt) right footed shot from outside the box is blocked. Assisted by Filip Kostic. Patrick Herrmann (Borussia Mönchengladbach) wins a free kick on the right wing. Offside, Eintracht Frankfurt. Evan Ndicka tries a through ball, but Danny da Costa is caught offside. Attempt saved. Filip Kostic (Eintracht Frankfurt) left footed shot from outside the box is saved in the bottom right corner. Corner, Borussia Mönchengladbach. Conceded by Danny da Costa. Attempt missed. Sébastien Haller (Eintracht Frankfurt) header from the centre of the box misses to the right. Assisted by Filip Kostic with a cross. Attempt missed. Sébastien Haller (Eintracht Frankfurt) header from the centre of the box misses to the left. Assisted by Danny da Costa with a cross. Corner, Eintracht Frankfurt. Conceded by Denis Zakaria. Attempt saved. Florian Neuhaus (Borussia Mönchengladbach) right footed shot from a difficult angle on the right is saved in the bottom right corner. Assisted by Matthias Ginter with a headed pass. Lars Stindl (Borussia Mönchengladbach) wins a free kick on the right wing. Attempt saved. Denis Zakaria (Borussia Mönchengladbach) right footed shot from the centre of the box is saved in the bottom right corner. Assisted by Patrick Herrmann. Offside, Eintracht Frankfurt. Ante Rebic tries a through ball, but Sébastien Haller is caught offside. Attempt missed. Thorgan Hazard (Borussia Mönchengladbach) right footed shot from outside the box is too high. Assisted by Christoph Kramer. Attempt blocked. Danny da Costa (Eintracht Frankfurt) left footed shot from outside the box is blocked. Assisted by Mijat Gacinovic. Attempt saved. Ante Rebic (Eintracht Frankfurt) left footed shot from outside the box is saved in the bottom right corner. Assisted by Martin Hinteregger. Attempt missed. Thorgan Hazard (Borussia Mönchengladbach) right footed shot from outside the box is just a bit too high from a direct free kick. Offside, Eintracht Frankfurt. Danny da Costa tries a through ball, but Ante Rebic is caught offside. Fabian Johnson (Borussia Mönchengladbach) wins a free kick in the defensive half. Attempt missed. Denis Zakaria (Borussia Mönchengladbach) right footed shot from outside the box is high and wide to the right. Assisted by Florian Neuhaus. Attempt missed. Thorgan Hazard (Borussia Mönchengladbach) right footed shot from outside the box is close, but misses to the left. Assisted by Patrick Herrmann. Attempt missed. Lars Stindl (Borussia Mönchengladbach) header from the centre of the box is high and wide to the right. Assisted by Patrick Herrmann with a cross. Matthias Ginter (Borussia Mönchengladbach) wins a free kick in the defensive half. Sébastien Haller (Eintracht Frankfurt) wins a free kick on the right wing.